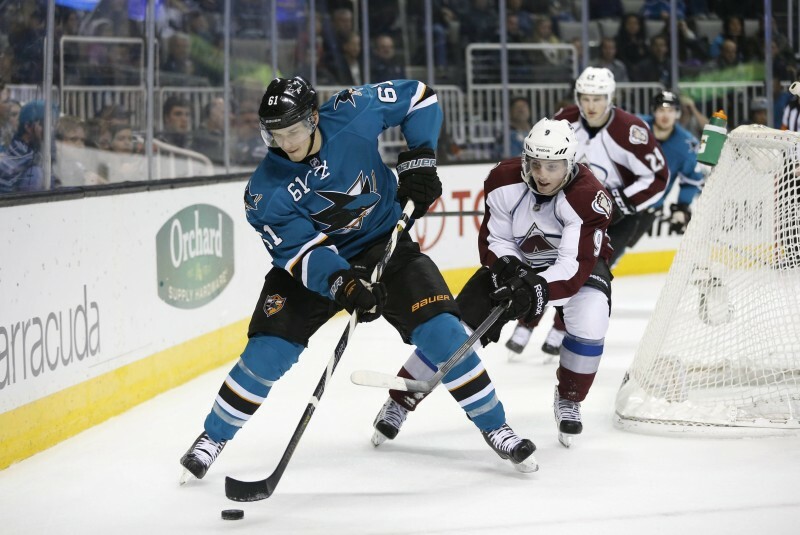 Monday night in San Jose may have unofficially marked the end of the San Jose Sharks’ season. Not only did they lose an embarrassing home effort to the lowly New Jersey Devils (who were Jagr-less by the way) by a 5-2 final, but they also lost defenseman Justin Braun and winger Tommy Wingels to injuries. According to Sharks head coach Todd McLellan both will be “out awhile” with upper body injuries. With the Sharks floating along in a tight playoff race as it is, to lose these two guys might make GM Doug Wilson’s job a bit easier. The Sharks as currently constructed weren’t going to make significant noise in the playoffs without adding a marquee piece. Now add two significant injuries, one to the top-9 forwards and another to the top-4 defense, and even a marquee addition wouldn’t be enough for this team to turn it around. Coming off a disappointing overtime loss at home to Calgary, one would have expected the Sharks to come out with a strong 60 minute effort. Instead, they gave about a 20 minute effort. The Sharks jumped out to an early 1-0 lead but the first period ended with the score 2-1 New Jersey and the shot total tilted 17-6 in favor of the Devils. At one point in the second period the Sharks were being out-shot 28-12. That is simply an across the board inexcusable performance. Losing to bad Eastern Conference teams has become a regular thing for the Sharks, having lost to Buffalo, Florida, and Columbus twice each. Not to mention deserving to lose to Carolina earlier this year, winning a game against the Hurricanes 2-0 despite being out-shot 45-19. For years the Sharks have been legitimate contenders but you can fully put them in the pretender group this year. Patrick Marleau while extremely unlucky, hasn’t been producing, Tomas Hertl is having a sophomore slump and moving Brent Burns back to defense has been an awful decision. He may be going to the All-Star game but he took two bad infraction penalties against the Devils, including getting beat one-on-one looking like a forward trying to play defense. 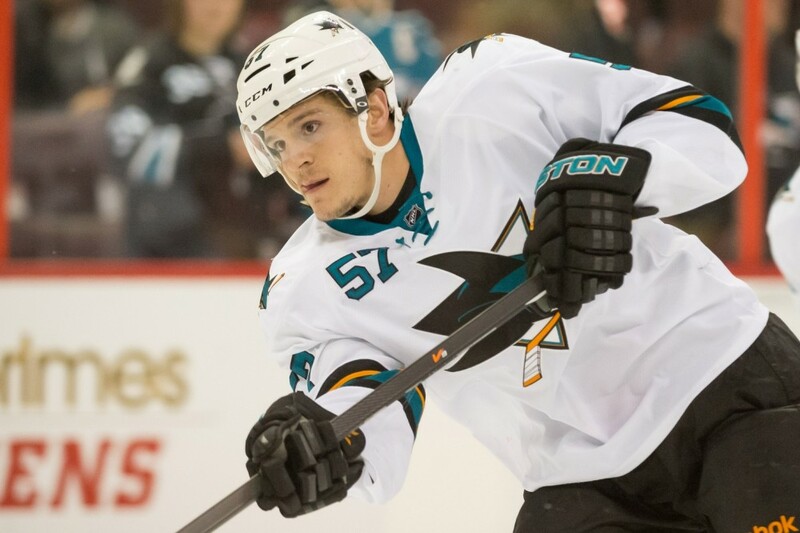 There is a chance over time Burns can return to the defenseman he used to be but moving him back has hindered San Jose’s ability to score up front and hasn’t helped their defensive play away from the puck. Too much that has gone wrong for this Sharks team to recover. They haven’t gotten a bounce back year from Antti Niemi, the blue-line has struggled, and they have free fallen in terms of even strength scoring from top-6 a year ago to the bottom third of the league this year. Even with younger talent added over the last couple years, the Sharks look eerily similar to their 2011-12 version that fell flat in the playoffs. That team, with a much better defensman version of Brent Burns, could not score at even strength and got the same mediocre goaltending. For the first time in years, it is to the point that I think the Sharks ought to look ahead to next year and pull the plug on this campaign. Losing Braun and Wingels long-term has basically cemented their fate that was already dwindling in terms of making any noise in the playoffs.